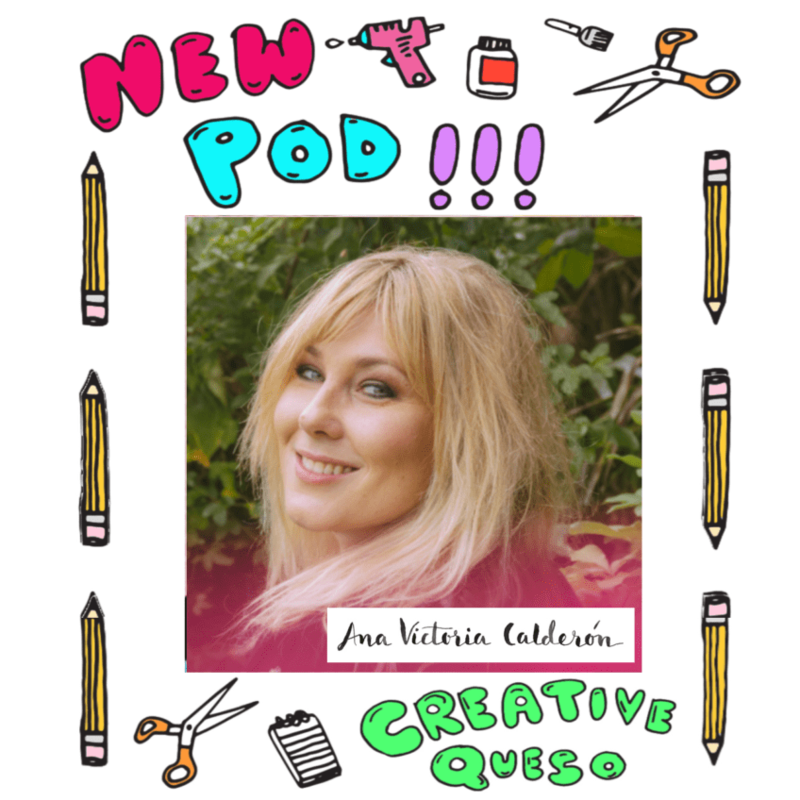 The Creative Queso Podcast with host Jennifer Perkins are weekly interviews with entrepreneurs, content creators, artists and crafters about the business of being creative and the creativity behind running a business. 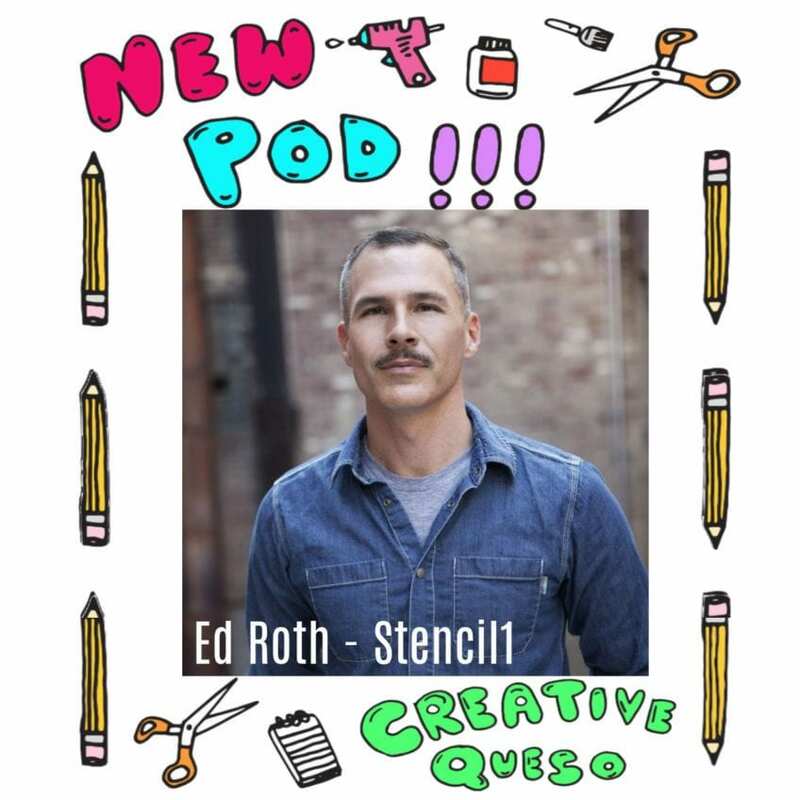 Season 2 of the Creative Queso Podcast is here and I am excited that my friend Ed Roth from Stencil1 is kicking things off. Ed has single handedly made stencils cool again and crafters are company are taking notice. 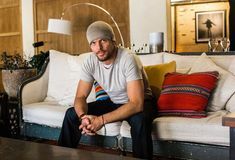 He has worked with companies like Levi’s and had seen his stencils on the shelves of Michaels. Nicole Stevenson makes my new favorite crafty business retreat possible. 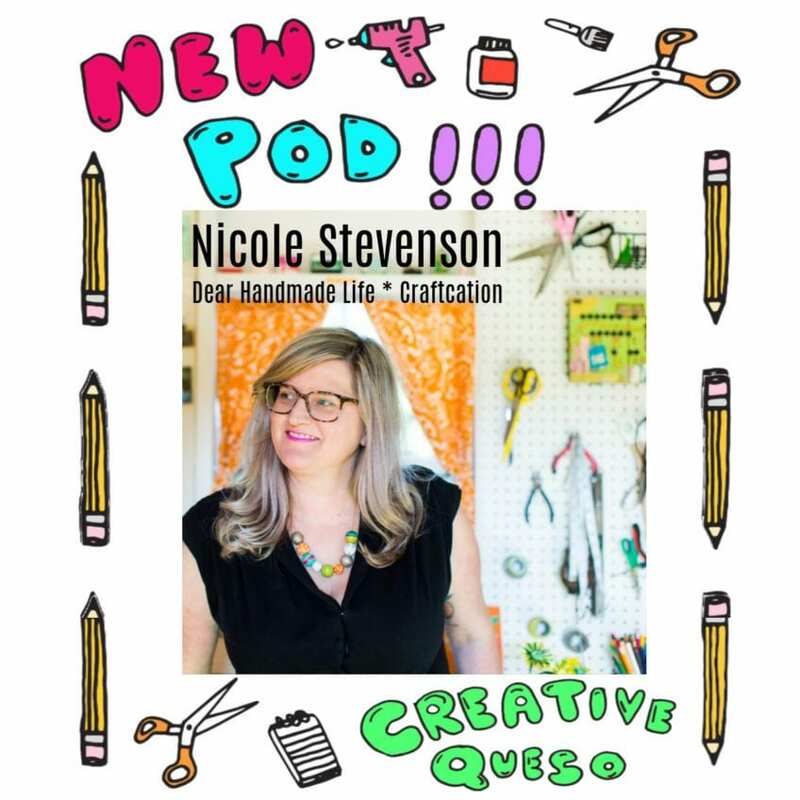 Not just Craftcation Nicole also produces a vendor based event called The Patchwork Show, has her own podcast Dear Handmade Life, dabbles in illustration, designs and sell T-shirts made for ADD crafters like me that say “make all the things” and honestly Nicole is just one of those people constantly spreading inspiration and valuable information with everything she does. 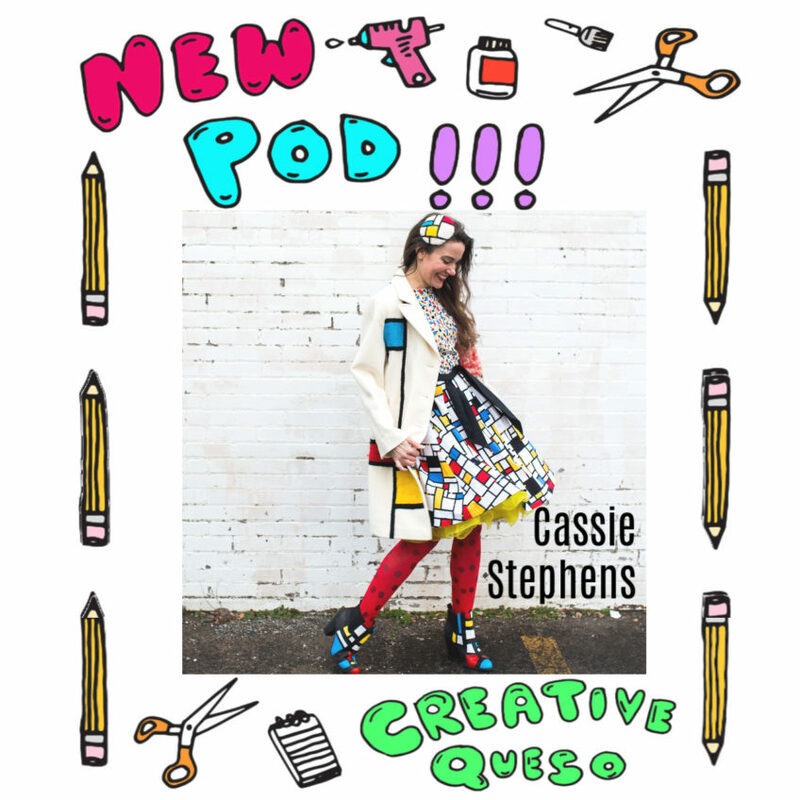 Cassie Stephens is the art teacher you always wished you had. 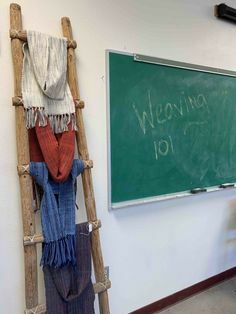 The modern day Mary Poppins of art education pulling all kinds of clever and creative tricks from her bag. 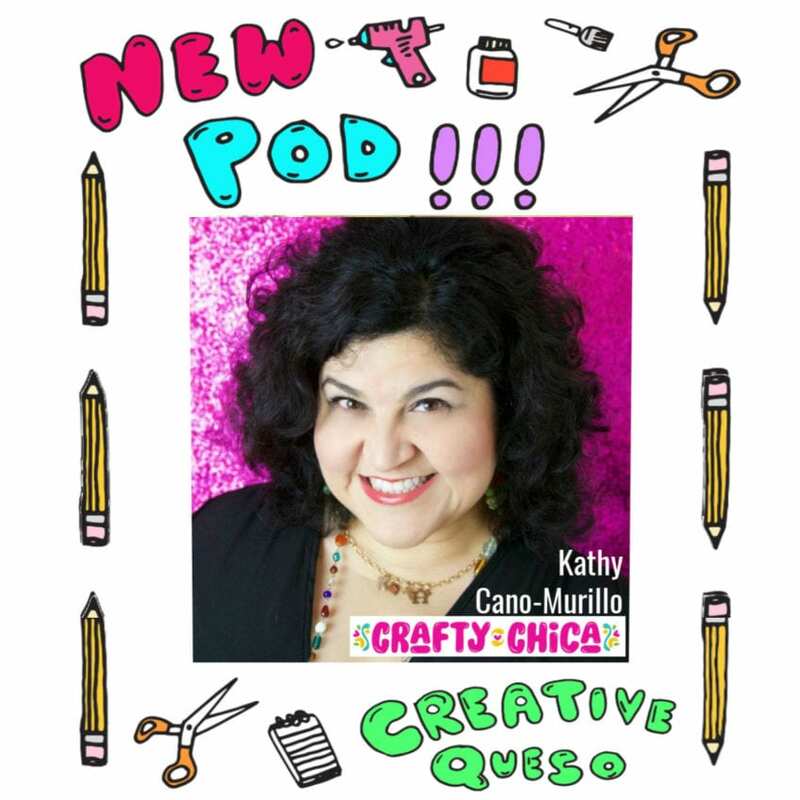 Those grade schoolers are darn lucky to have her and I am darn lucky to have her as a guest on the Creative Queso Podcast. Alexa Westerfield sure is a swell gal. 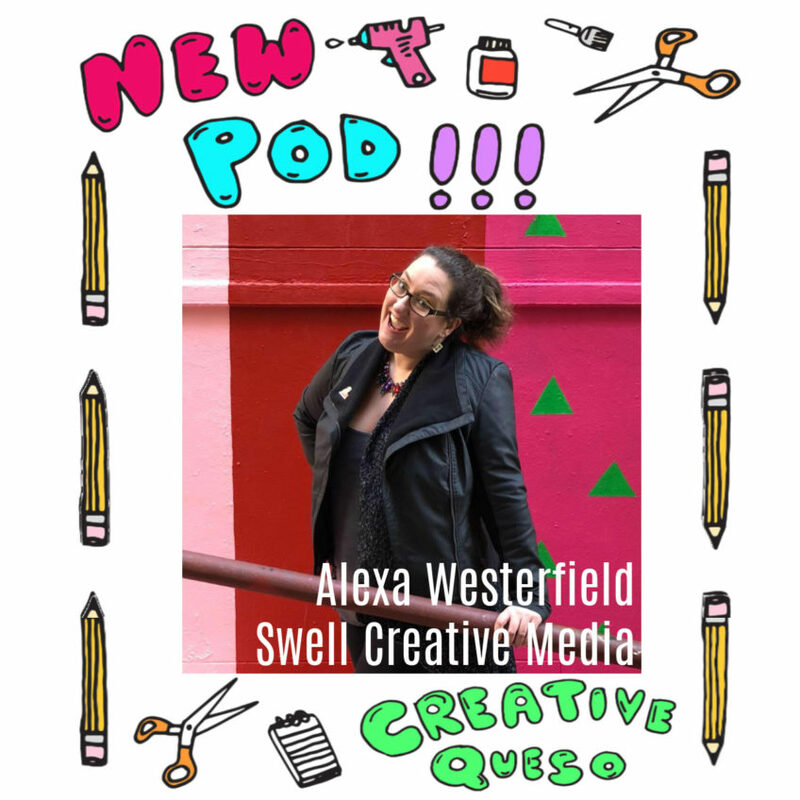 Like you might know her better as the one woman dancing machine in a unicorn mask known as the Swell Designer and the boss lady at Swell Creative Media. Alexa is an expert at content creation and knows that the never ending treadmill of creating content is a hard to wheel to get off of. More than just an amazing watercolor artist Ana Victoria Calderón is a hustler with a capital H. She has a new book Creative Watercolor, hosts The Magic Jungle Retreat in Tulum, is a top teacher for Skillshare and don’t forget all the places that license her art. 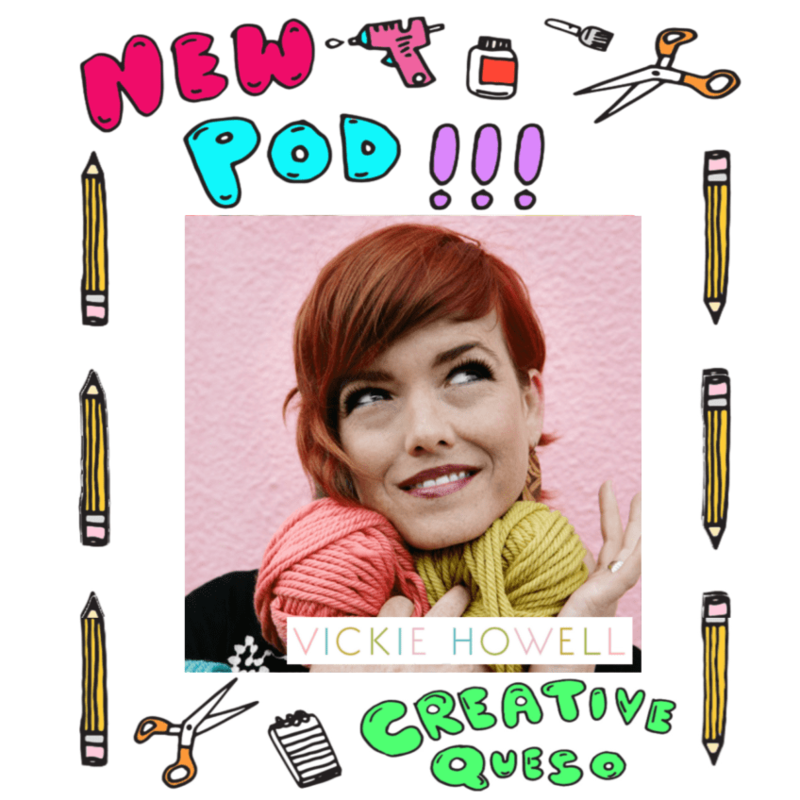 Vickie Howell is way more than just a knitter, she is an entrepreneurial force to be reckoned with. 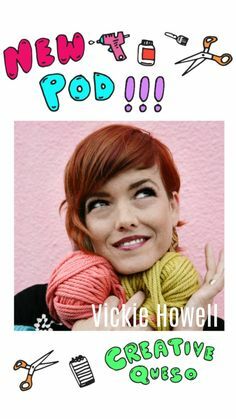 Vickie is knitwear designer, author of countless yarntastic books, host of the Craft.ish podcast, boss babe in charge of the Yarn Yay subscription box service, host of The Knit Show on You Tube and the longest running craft themed Facebook Live show Ask Me Monday. 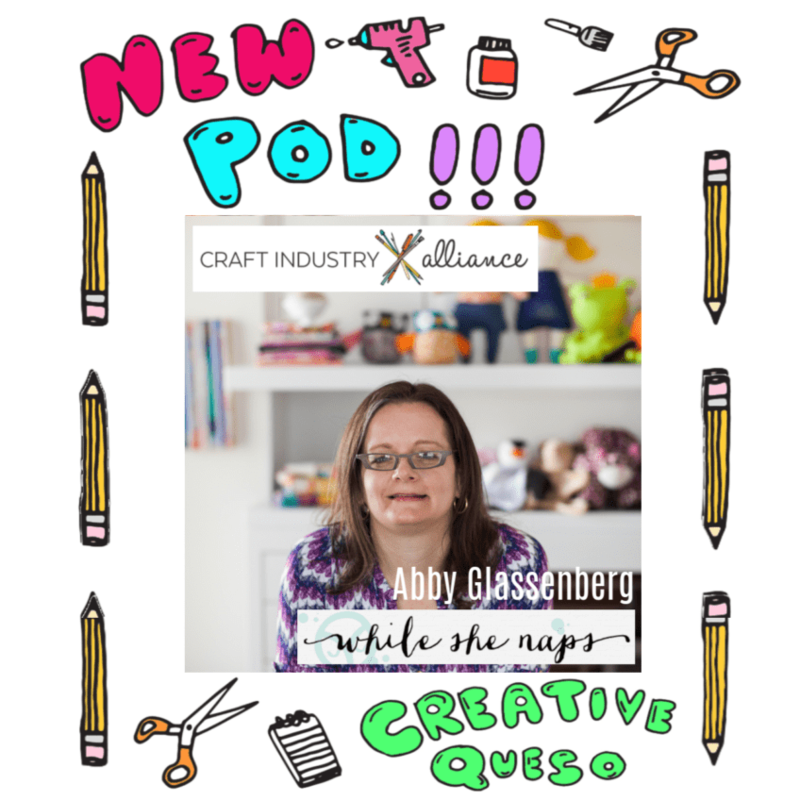 I have been a fan of Abby Glassenberg for a long time and not just because she has had me as a guest on her podcast – While She Naps. 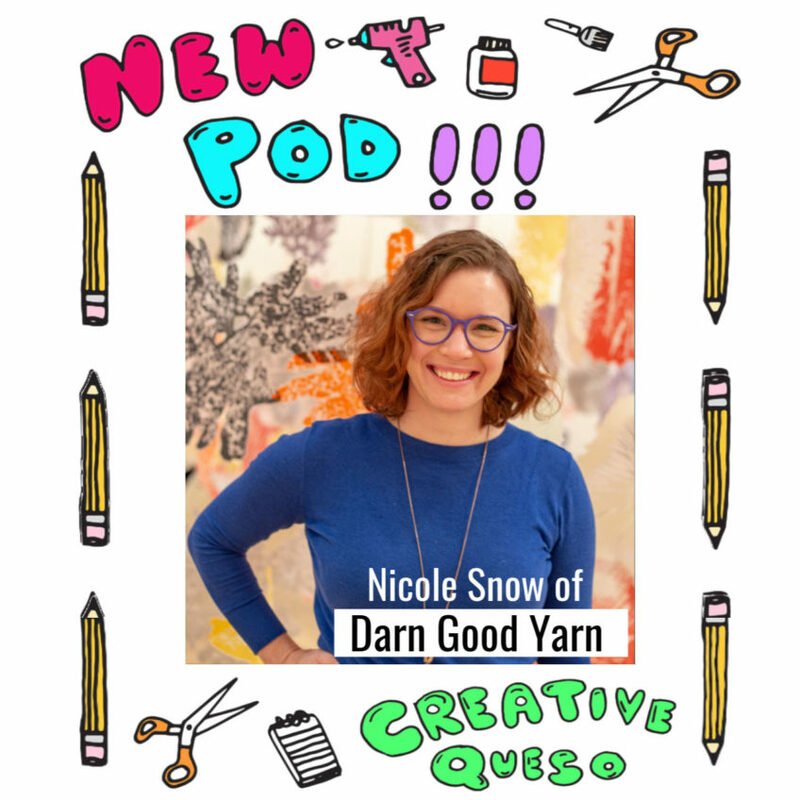 She is a small business specialist, pattern designer for companies like Simplicity, author, Harvard graduate and half of the Craft Industry Alliance. 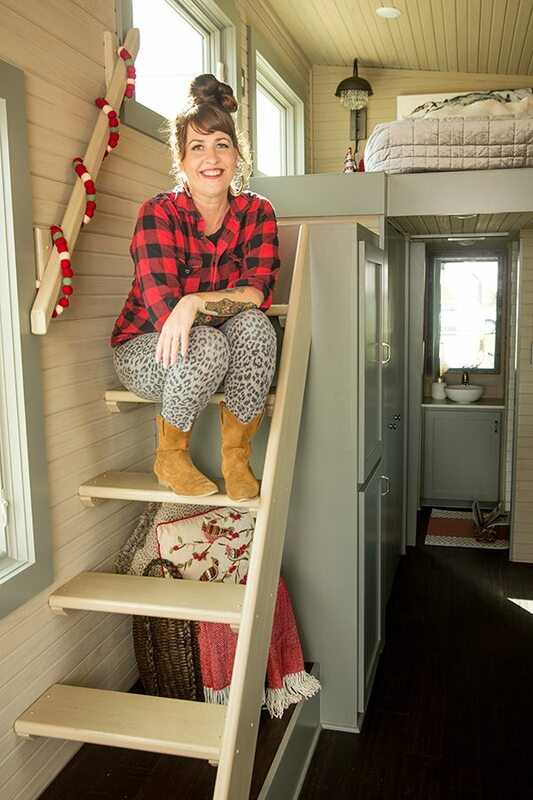 Nicole Snow is not your typical crafty business owner. Where some people are happy to make a little extra spending money with their side hustle her company Darn Good Yarn brought in over 7million dollars last year. Besides being named one of Inc Magazine’s top 5,000 fastest growing companies for the 2nd year in a row Nicole and her Darn Good Yarn also have an amazing mission statement to start at love. 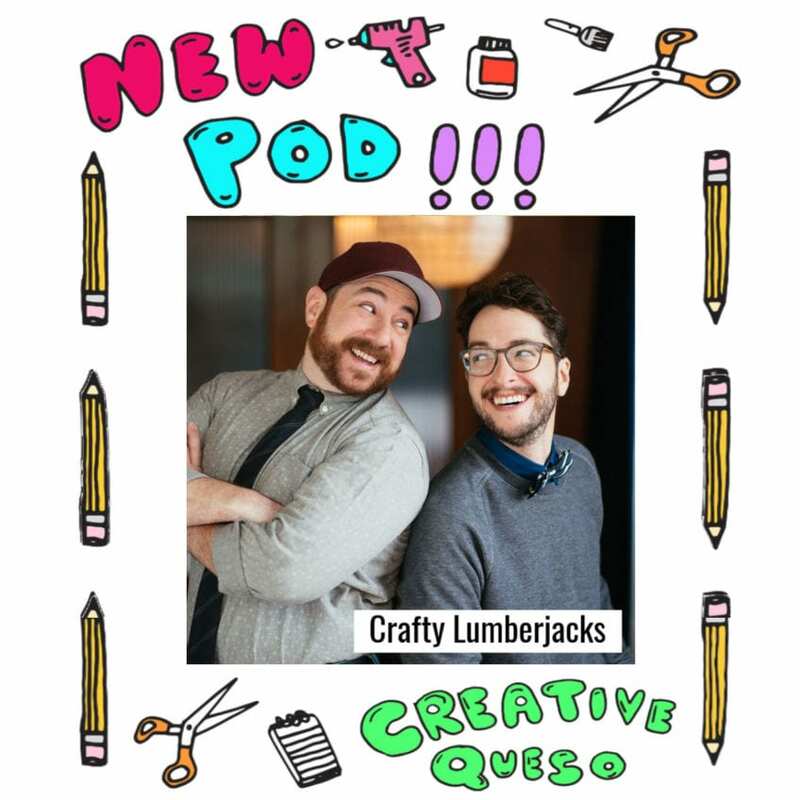 The Crafty Lumberjacks AKA Dennis and Andrew had no idea when they met on a traveling production of Fiddler on the Roof that they would fall in love or find themselves teaching crafts on shows like Rachel Ray and The Chew. My admiration for Kathy Cano-Murillo goes back a LONG time. When I was in the Naughty Secretary Club and she was still The Crafty Chica our glittered covered paths crossed ways online and in person at events like CHA and The Renegade Craft Fair.